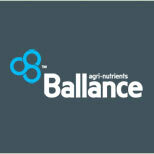 Students looking to fund their agriculture or engineering studies have until 28 October 2012 to apply for one of four Ballance Agri-Nutrients scholarships. The scholarships will provide $4000 a year for up to three years and are open to immediate family members of Ballance shareholders or company employees. They are for students wanting to study at tertiary level in either the general primary industry field or in process engineering. Ballance Research and Development Manager Warwick Catto says New Zealand scientists are developing world-leading capabilities in agricultural technology, animal health and also food technology. “Our economy is inextricably linked to maximising the use of our land and we’re very good at it,” says Mr Catto. Nearly 60 students have benefited from the Ballance scholarship programme since 2002. For more details or to apply, visit www.ballance.co.nz.